The main concern of the book are climatic systems feedback mechanisms and their probable influence on climate in connection with the anthropogenic transformations in the bed surfaces underlaying hydroelectric dams in the process of their construction and maintenance. Also important is boreal forests extinction in the catchment basins of rivers under regulation. Climate variability is taken into account in the design and operation of hydroelectric dams and is founded on environmental regulations and legislation on safety for hydro-technical buildings. Climate events related to disasters in different parts of the world confirm that studies discussed in the book are of burning importance. The book could be of interest to specialists in geo- ecology as well as to students of environmental departments of universities and a wide audience concerned with these problems. The climate system of the planet Earth is very special from the point of view of its heterogeneity /versatility , quasi-regularity and non-uniqueness of the climate with the mutually intertwining feedback bonds ( Монин, Шишков 1979 / Monin, Shishkov 1979). A greenhouse effect is the best well-known mechanism of this kind. Public consciousness nowadays sticks firmly to the opinion that decrease of anthropogenic emissions of greenhouse gases could easily solve the problem of climate change caused by the emissions. However, the practice is far from it. Besides the greenhouse effect and limitations on anthropogenic emissions of greenhouse gases (the limitations being absolutely expedient), it is also necessary to consider other kinds of feedback systems and meaningful mechanisms of anthropogenic effect on the Earth’s climate system and ways to minimize these effects. The present book concerns mainly some less well-known mechanisms of feedbacks in the planet’s climate system. Assessment of their probable influence on climate in relation to the anthropogenic transformation in the underlaying /underlying surface as a result of hydroelectric dams construction and maintenance as well as cutting off boreal forests in the catchment basins of the rivers under regulation are some very important factors also discussed in the book. The first chapter, which is actually a survey, shows some key peculiarities of the climate system that are important both for the task of hydroelectric dams climate adaptation and for the evaluation of consequences of their long-term regional and global effects. The second chapter deals with ecological and legal instruments for the reduction of hydroelectric dams negative effects on climate and biodiversity in nature systems. 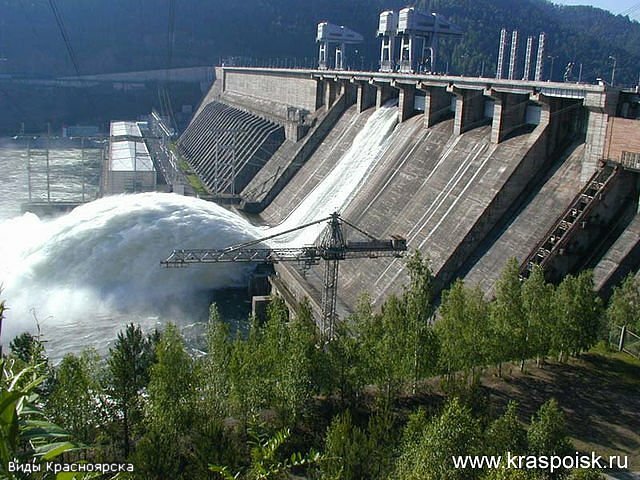 The issue of hydroelectric dams climate adaptation is also paid attention to in this chapter, the example being some problems in water flow control at Lake Baikal by means of a cascade of hydroelectric dams regulating the Angara and the Yenisey rivers. Some of these problems and the ways to their solution are also typical of other dam stations in Russia. - About 150 years BC Ancient Greek astronomer Hipparchos from Nikkei introduced a scientific term "climate" that literally means “inclination”. He divided the Earth surface into five climatic zones (latitude division) which according to his knowledge are based on environmental or climate conditions determined by the inclination of sun rays or the Sun height over the horizon. Thus, ancient Greeks considered unequal distribution of the Sun’s heat along the Earth’ surface to be the principal reason for dimensional heterogeneity of environmental conditions that explains why it is hot at the equator, and it is colder to the poles. - 1712 - the first steam mechanism was invented by English tinman Thomas Newcomen. This year marked the beginning of the Industrial Revolution. In 1735 English scientist George Hadley suggested an explanation to the etesian circulation in atmosphere which is averagely displayed in the form of the self-contained circulating alveoles which have received the name of alveoles of Hadley. Similar systems of air flows in atmosphere contribute to transfer of heat and energy between various climatic zones. It was the first simplified model of air circulation in a tropical region. Further on American meteorologist William Ferrel described similar circulating alveoles of the opposite direction in the mid-latitudes which were named after him - alveoles of Ferrel, and in the polar region polar alveoles have been found. Thus, the general circulation of atmosphere in each of the hemispheres consists of three alveoles which influence the planet’s wind system. - In 1845 German scientist and encyclopaedist Alexander von Humboldt in his work "Space" proposed a new definition of "climate" which was based on the interaction of the ocean and its flows and land with various properties of a spreading surface. Thus, ancient Greeks’ vision of the climate’s dependence on the planet’s latitude was modified and clarified by the idea of the solar energy heat redistribution caused by the intrinsic properties of the climatic system. - In 1824 the French physicist Joseph Fourier described green house effect. - In 1847 the Swiss astronomer and mathematician Johann Rudolf Wolf introduced the combined index of the sunspots which received the name of Wolf’s numbers. Wolf’s works prompted the study of solar-terrestrial links between atmospheric phenomena and solar activity which is currently one of the most debatable mechanisms of climate change. Wolf developed time variation of the numbers between 1700 and 1847. Since 1848 the row of numbers has continuously replenished. Besides, according to the historical records and the radio carbon analysis of the tree cuts Wolf’s numbers have been restored approximately for the period of a thousand years. What is more there have been revealed 11-year- and later a 22-year- cycles of helio magnetic field polarity reversions. It should be noted that solar activity in those cases can be displayed sharply only in fluctuations of corpuscular and rigid electromagnetic component of solar radiation, thus carrying a rather small portion of its total energy. Reducing the explanation of all climatic changes to solar activity only is not correct, and at the same time it is not right to reject it completely. In the integrated indexes the link between fluctuations of sunspots for the last millenium and climate fluctuations has been observed, and it prevents from rejecting the link between changes of solar activity and climate changes. - 1861 - the Irish physicist John Tyndall showed that greenhouse effect gets strengthened by evaporated water and some gases. -1872 - the International Meteorological Organization was founded which in 1947 received its new name - the World Meteorological Organization (WMO), and it also became one of the United Nations divisions. One of the WMO’s concerns is to contribute to the climate problem solutions and development of a regular planetary network of international hydrometeorological observations. - 1896 - the Swedish chemist Svante Arrhenius was the first to express the idea about interconnectedness of climate change and the carbon dioxide in atmosphere which was considered to be one of the mechanisms of feedback links in the system “atmosphere – Earth surface” and which led to heating of the ground beds of atmosphere caused by the greenhouse gas absorption of the reflected infrared rays. According to his calculations if the carbon dioxide content doubles it can invoke temperature increase up to 8-9 degrees in North America and in the north of Europe. Relying on his calculations he tried to explain that glaciations cycles on the Earth were caused by greenhouse effect which was the result of green house gas emissions from the volcanic eruptions. - 1915 - the Russian meteorologist Boris Pompeevich Multanovsky was the first to evolve the centres of atmospheric activity in the northern hemisphere, and defined weather types which were used to create long-term forecasts: polar passive and active, western and mixed, and also a western type with a significant influence of the Azorsky maximum or a so-called western conduction. Significant importance was given to trajectories-ways (according to B.P. Multanovsky's terminology - "axes") along which the centres of atmospheric activity worked. They became prototypes of some integrated indexes, fluctuations ("oscillations") from which the most typical North Atlantic Oscillation (NAO) and the Arctic Oscillation (AO) are currently used in present climate models for detailed representation of variability of the atmospheric general circulation. - 1921 Russian oceanographer and the explorer of the Arctic regions Nikolay Knipovich was the first to notice warming of the Barentsov Sea waters and increase of its salinity to the depths of 400 m.; this also started regular measurements of water temperature on the Kola meridian (30.5 degrees of eastern latitude) that have been taken up to now. It was one of the first direct evidence of the planet’s global warming at the end of the 19th century. The warming which began in the northern hemisphere at the end of the 19th century drew climatologists’ attention only in the 20s-30s of the 20th century after intensive warming in the Arctic region was recorded. Intensive warming proceeded up to the beginning of the 40s of the 20th century and was fixed by numerous observations of the ground temperature by meteorological stations in the northern hemisphere. Warming was accompanied by omnipresent thawing of glaciers practically on all continents and significant reduction of the ice area the Arctic seas. Only in the Soviet sector of the Arctic region in the period 1924-1945 the ice area decreased approximately by half. In 1935 regular vessels could make through floats (trips) during one navigational season along all Northern Sea path without seeing ice on their way. The permafrost frontier everywhere on Earth retreated to the north. Animal and plant habitats also moved. - 1927 - by the current estimates 1927 was the year when carbon dioxide emissions due to the work of industries and burning oil and gas fields were compounded to be 1 billion tons a year. - 1935 - in Paris Russian scientist Vladimir Aleksandrovich Kostitsyn published the book in French “Evolution of Atmosphere, Biosphere and Climate” in which he explained the qualitative evolution of glaciation cycles or glacial ages by appealing to the climatic system intrinsic properties, thus he denied Arrhenius’ hypothesis about the significant contribution of greenhouse effect to evolution of glaciation cycles on Earth which in its turn was caused by the volcanic activity. V.A.Kostitsyn used mathematical models modifications of population dynamics Lotka - Volterra, and constructed so-called zero-dimensional models of the planet’s climatic system. He was the first to develop a global model of the matter cycle which considered the main biogenic elements like oxygen, nitrogen and carbon dioxide. Thus, the author focused on the role of the living matter. - 1936 - Serbian climatologist and geophysicist Milutin Milankovitch proposed a hypothesis about the link between glacial ages in the Pleistocene (1.5 – 6.0 million years ago) and alterations of the terrestrial orbit parametres including inclination of a terrestrial axis (Milankovitch cycles). This idea was later put into the astronomical theory of climate fluctuation. - 1938 - the British engineer with a characteristic surname of Callendar, Guy Callendar, used data of 147 meteorological stations located in different parts of the world, and showed that the average temperature of atmospheric ground beds of the Earth had risen for the last hundred years. He was the first to link big concentration of carbon dioxide in atmosphere with global warming. Reaction to such discovery was very cold and even sarcastic, a so-called "Effect of Callendar" was put to rigid criticism. Besides, in the 40s of the 20th century there was evidence of a cold snap which was marked by many explorers at different meteorological stations in the northern hemisphere: glaciers increased; the permafrost frontier all over moved to the south, etc. The cold snap proceeded up to the 60-70s of the 20th century. - 1939 - the Soviet physicist Alexander Aleksandrovich Andronov and his team issued a publication in which they proved a hypothesis of French mathematician Henri Poincare, that later laid the basis for the theory of dynamic systems bifurcations or Poincare-Andronov's theory of stability loss of dynamic systems balance. This theory together with the theory of smooth displays proposed by American mathematician Hassler Witney (1955) had numerous appendices including modeling of climatic processes which prompted elaboration of a qualitative explanation of alterations in predicted and unpredicted climate modes on Earth. - 1941 - the Soviet mathematician Andrey Nikolaevich Kolmogorov published his works which laid the ground for the statistical theory of turbulence, and was used in global climate hydrodynamic models, and present understanding of climate as “a statistical ensemble of the states which are undertaken by the system ‘atmosphere - ocean - land’ during decades”. He became the founder of the well-known school of geophysical hydrodynamics, and his close followers Andrey Sergeevich Monin and Alexey Mihailovich Obukhov for many years led climatic research at the Institute of Oceanology and Institute of Physics of Atmosphere of Academy of Sciences of the USSR accordingly (later - the Russian Academy of Sciences). - 1941, the book by Soviet geophysicist Vasilii Vladimirovich Shuleykin “Physics of the Sea” was published (Moscow – Leningrad is published., Publishing house of the Academy of Sciences of the USSR, 1941, 836 p.) which reviewed physical mechanisms of self-oscillations in the climatic system ‘land-ocean-atmosphere’ by drawing a parallel with thermal cars of types I and II. The majority of these ideas has been developed, and has not lost their urgency up to date. V.V. Shulekin was the first to propose an original method of isanomal that allowed revealing and analyzing sharp climate distinctions by following lateral climatic zones which are caused by various thermal characteristics of the continents and oceans. - 1955 - the American explorer Gilbert Plass used the first computers and provided a detailed study of various gases and their ability to detain ultraviolet rays. It was him who made calculations that showed that if CO2 emissions double, the average temperature will increase to 3-4 degrees Celsius. Thus, he corrected S. Arrhenius’ calculations which were made about 150 years ago. -1956 - under the supervision of a Soviet geophysicist Michael Ivanovich Budyko the experts of the State Hydrometeorological Observatory after A.I. Voeikova calculated heat balance of the Earth surface which laid the basis for “the Atlas of the Earth Heat Balance”. The Atlas was used to create a "energy-balance" climate model which considered feedback links - positive and negative - in the climatic system. This model prompted one of the basic concepts of global warming which is based on the increase of carbon dioxide in atmosphere. - 1957 - American oceanographer Roger Rebelle and chemist Hans Suess showed that waters of the World Ocean are incapable of capturing excessive (and increasing) amounts of carbon. The ocean water was the last hope for many scientists. It is interesting that Rebelle wrote that time “... The mankind has undertaken a geophysical experiment of a huge size!" - 1958 - American scientist Charles Keeling started regular measurements of carbon dioxide in the atmosphere; for this he used the data of meteorological stations from Hawaii to Antarctica. The first four year measurements of the project, which has been in place up to date, recorded accurate and unambiguous evidence of increasing carbon dioxide concentrations in the atmosphere. Keeling has created a so-called ‘Keeling Curve’. - 1962 - American meteorologist and mathematician Edward Lorentz proposed a hypothesis about a non-uniqueness of a climate and alternations of predicted and unpredicted climate modes of the Earth. Describing numerical experiments on modelling of rotating fluid in small cylindrical pots he found that at some values of external parametres (speed of rotation and radial thermal contrast) there is a symmetric mode of locomotion with alveoles of Hadley whereas at other values there is a disorder mode of locomotion, a so-called mode of Rossbi. However, there is an area of values of external parametres at which there can arise either one, or the other mode. In later works (1968, 1970) E. Lorentz came to a conclusion that a similar trend is inherent to the planet’s climatic system. It means that at certain external parametres the climate of the Earth is predicted in statistical sense, and at other parametres it possesses property of non-uniqueness, i.e. from the same initial conditions the climate can evolve in different states unpredictably, sometimes intermittently. Fluctuations of predicted and unpredicted climate modes of the Earth when applied to different existential scales were proved scientifically, however, details of the theoretical description of these mechanisms have not been finished yet. One of the research directions is development of the appendices from the theory of Poincare-Andronov about the loss of stability of dynamic systems balance, the other - development of ideas of the statistical theory of turbulence of Kolmogorov and his followers. - 1965 - Joseph Smagorinsky and his colleagues (Smagorinsky J., Manabe S., Holloways J.L.) from the laboratory of geophysical hydrodynamics at Princeton University (USA) developed a mathematical model of global circulation of atmosphere, which prompted computer modeling of global climatic processes. - 1965 - the Advisory Council affiliated with the US president declared that the greenhouse effect is a real concern for the Earth. It was likely to be the first serious acknowledgement of the problem at such a high governmental level. -1970 - the Soviet oceanologists conducted a large-scale experiment "the Polygon" in Northern Atlantic which, by means of direct tools, let them discover oceanic vortex frames that were similar to cyclones and anticyclones in the atmosphere and that played an essential role in intrinsic mechanisms of global climatic processes. Further comprehensive oceanographic international expeditions continued, and their general review was given in the POLYMODE Atlas. Woods Hole, Massachusetts, USA.1986. Interdepartmental expedition MEGAPOLYGON, 1987 (experiment ….1992) in which 11 research vessels of the USSR were involved. The discovery of widescale whirlwinds or free synoptic whirlwinds (by analogy with atmospheric synoptic whirlwinds - cyclones and anticyclones), waves of Rossbi, meandering of oceanic flows quite often with formation of vortex frames (rings) was one of the largest findings in geophysical hydrodynamics of the 20-th century and has essentially expanded understanding of potential mechanisms of climatic changes. - 1972 – that was the year when in Stockholm, Sweden, there was the first international conference, under UN supervision, devoted to environmental issues, which sanctioned the United Nations Environmental Program and its implementation. - 1975 - American scientist Wallace Broecker was the first to use the term "global warming" in his publication, which instigated a rather effective PR campaign that reminded by its strategies and size the campaign with the ‘catastrophe theory’. -1980 - under the supervision of the Soviet mathematician Nikita Nikolaevich Moiseev a big group of scientists from the USSR Academy of Sciences (V.V. Aleksandrov, G.S. Golitsyn, and others) began research to assess global consequences of a would-be nuclear conflict by employing a mathematical model of global circulation of the ocean, atmosphere and biosphere that considered the impact of aerosols on climate. In September, 1983, in the USSR there appeared an accessible to the public first-ever publication about “nuclear winter”. - 1983 – at the conference in Washington DC the Computer Centre of the USSR Academy of Sciences, under the supervision of N.N. Moiseev, issued a report in which they described a mathematical model of global circulation of the ocean, atmosphere and biosphere, assessment techniques and the results. In the report and model they disclosed a pattern of global consequences of a long-lasting nuclear war aimed at extermination. The report of the Soviet scientists made the strongest impression upon the international community and promoted the further initiatives of finding solutions to a climate change problem. - 1984 - N.N. Moiseev, analyzing V.A. Kostitsyn's works and his ideas in later publications by V. and S. Sergins (1971), reviewed the mechanism of carbon circulation and its involvement into the ocean and atmosphere interaction, taking into account Kostitsyn’s zero-dimensional models, came to a conclusion that the greenhouse effect can be enhanced by the biota activity. In low temperatures in the northern latitudes the ocean absorbs carbon dioxide, and in high temperatures at the equator the ocean emits carbon dioxide. It was shown that at certain critical temperature the pumping mechanism starts and drains carbon dioxide from the ocean. He also made a suggestion that live plants and animals will just intensify the process of extracting carbonic acid from the atmosphere. And it also means that the living matter activity will lead to the decrease of the critical temperature at which the pumping mechanism starts to work, and the irreversible process of increasing average atmospheric temperatures begins. - 1986 - At the initiative of the Soviet party the General Assembly of the United Nations made a decision to form an expert commission who within 1987-1988 was supposed to prepare a report on consequences of global climate change. - 1988 - the Independent Policy Complaints Commission (IPCC) was created whose primary goals were to collect and analyze climate change evidence. - 1989 - the Prime Minister of Great Britain Margaret Thatcher during presentation at the United Nations said “... What we are now doing to the world, by degrading the land surfaces, by polluting the waters and by adding greenhouse gases to the air at an unprecedented rate - all this is new in the experience of the earth. It is mankind and his activities that are changing the environment of our planet in damaging and dangerous ways. The result is that change in future is likely to be more fundamental and more widespread than anything we have known hitherto”. At the end of her speech she urged the world community to begin work on the global agreement on preserving the world from the negative climate changes. - 1989 - the same year it became known that СО2 emissions reached 6 billion tons a year, i.e. for the last sixty years they increased sixfold! - 1990 – the IPCC published the first Report on the environment (a so-called Assessment Report). It said that for the past 100 years the average temperature on the Earth had risen to 0.3 - 0.6 degrees of Celsius. It was also mentioned that people’s activity contributed to greenhouse gas emissions which was estimated in comparison with the level of natural carbon emissions (evaporations of the World Ocean, volcanic activity and so on). - 1992 - in Rio de Janeiro, Brazil, the international conference, Earth Summit, was held which resulted in signing of the Frame Convention of the United Nations on climate change. Its main goal was to stabilize CO2 emissions and establish control over its concentration in the atmosphere as to prevent irreversible changes in the planet’s ecosystem which are caused by men’s activity. Economically developed countries agreed to reduce СО2 emissions to the level of the year 1990. - 1995 - the authors of the second IPCC report came to a conclusion that there is evidence of a ‘discernible human influence’ on climate change. This statement was called to be the first confirmation of people’s responsibility over the negative climate change on Earth. - 1997 - in Japan, the city of Kyoto, at the conference of the Frame Convention of the United Nations on climate change the parties signed "Kyoto Protocol". According to it, developed countries incurred to reduce СО2 emissions to the average of 5 % within a period of 2008 - 2012, with specific provisions for some countries. Almost immediately the US Senate made a statement that the USA would not sign the Kyoto Protocol. And they have not done till today. - 1998 – that was the hottest year on the planet since the temperature was started to be recorded. It was said that warm air flows, caused by the ocean phenomenon El Nino, unexpectedly more active in 1997-1998, and global warming were to blame. The average temperature exceeded the adopted level (this is the period of 1961-1990) over 0.52 degrees of Celsius. Earlier in the USSR works of T.V. Pokrovskaya, V.A. Diakova there was established a link between the occurrence of droughts and solar activity. For the European part of Russia and Western Siberia those links were in the opposite phase. - 2001 - US president George W. Bush officially withdrew the USA from negotiations on joining the Kyoto Protocol. - 2005 - the President of the Russian Federation Vladimir Putin approved of the federal law on ratifying the Kyoto Protocol, and later on this international document came into effect in 189 countries, parties to the protocol. - 2005 - politicians started to speak seriously about the problem. Thus, the Prime Minister of the United Kingdom, Tony Blair, defined climate change to be a priority issue for the period of his presidency in G8 and the European Union. - 2005 –the work of Russian oceanologist Zalman Markovich Gudkovich and his colleagues from the Arctic and Antarctic Research Institute (St.-Petersburg) was published which provided for explanation of a linear trend of climate changes of the Arctic region in the 20th century using the relevant linear trend of Wolf’s numbers, which was probably linked to a 200-year cycle. In the subsequent works of the same authors there was given a reliable empirical dependence between indexes of solar activity and polycycle variations of mid-annual average temperatures in the Arctic region, ice cover of the Arctic seas in the 20th century with the average duration of cycles of about 60, 20, 10 and less years which occurred against the background of a quasilinear trend of warming. The contribution of the most energy-intensive 60-year cycle to changes of the climatic system was mostly noticeable in the Arctic region, however, its presence was also revealed in other regions, including the Antarctic. The same trend was used by many scientists to explain the interchange of warming and cold snap of the 20th century. Thus, the authors explained the linear trend of warming in the 20th century by the solar activity change, which revealed itself in the form of fluctuations of a 60-year cycle; and to 2012 – 2015 the authors predicted a change of a trend for a cold snap. - 2006 - English economist Nicolas Stern, professor at the London School of Economics, at the request of the government of Great Britain, published one of the major researches about influence of climate change on the world economy. In the publication he concluded that the consequences of climate change can be estimated at 20% of the world gross national product, and related expenses aimed at control over the CO2 emissions and other measures to prevent temperature increase, can be estimated at 1 % of same gross national product. - 2006 - СО2 emissions reached 8 billion tons a year. - 2007 - the former vice-president of the United States Albert Gore together with IPCC experts was awarded the World Nobel Prize for his role in disseminating information on the climate change. - 2009 - China became the largest source of carbon dioxide emissions into the atmosphere, so they outran the USA in the disputable superiority. Although the USA still remains the leader in the amount of hydrocarbon emissions on the per-capita basis. - 2009 - in December in Copenhagen the 15th Conference of the Parties of the Frame Convention of the United Nations on climate change was held during which the countries did not succeed in reaching an agreement on the revised concept of the Kyoto Protocol whose indexes were determined to up to 2012 inclusively. - 2010 – during the following 16th Conference of the Parties of the Frame convention of the United Nations on climate change in Cancun (Mexico) the participants reached comforting Cancun Agreement which approved the concept of post- Kyoto agreement and was supported by most member countries of the United Nations. That event hinted at some light in the end of the tunnel. 1. There is enough empirical evidence that points at statistically significant links between parametres of solar activity and fluctuations of climatic characteristics. However, the physical mechanisms that describe these phenomena are not quite clear yet. 2. Most existing computer models of planetary climatic processes do not consider non-uniqueness of a climate. The prognostic potential of present numerical models of weather is limited to the natural synoptic period of 3-7 days. Further studies properties of non-uniqueness of the Earth's climate (almost intransitivity climate system) on different spatial and temporal scales need to clarify the feasibility of trying to predict the future climate in the middle and end of this century, based on the scenario calculations using advanced computer models of climate processes. What is the value of this information? Is it possible to prepare a reasonable long-term management decisions on the basis of these forecasts now? 3. Besides reducing men-caused carbon dioxide emissions, it is highly crucial to prevent and minimize anthropogenic transformation of the natural ecosystems that play important climate regulating functions. 1.Improving the quality of background meteorological forecasts for Northern Hemisphere at least a year in advance with consequent specification of the information for each month and background forecasting of river flow in the Arctic basin with due regard for non-uniqueness of the climate. 2.Estimating the long -term effects of hydroelectric dams across Siberian rivers on Arctic climate both at regional and global scales to minimize their influence on vulnerable elements of the Arctic climate systems. 3.Enforcing a legal regulation that makes hydroelectric dams climate adaptation necessary at all levels of legislation. 4. Developing an integrated management plan for the property of the Natural Heritage “Lake Baikal” in the part of its hydrological management mode in compliance with Regulations of paragraph 9 of the Decision of 38th Session of the World Heritage Committee of UNESCO and paragraph 112 of the Operational Guidelines for the Implementation of the World Heritage Convention. 5.Development and consequent legislative ratification of the Regulation for the periods of Lake Baikal level extreme phases to provide the opportunity of transgressing against the allowed limits for a certain period of time on the grounds of Lake Baikal catchment basin level forecasts. Further studies of non-uniqueness of the Earth’ climate (which means the almost intransitivity of the climate system) at various space and time scales should make it clear if any attempts of forecasting a would-be-climate for the middle and the end of the present century based on scenario climate computations are practically expedient. It would also be important to estimate the cost of such information and to reflect if any scientifically grounded long term management decisions could be plausible nowadays. The author is grateful to his colleagues Ponomaryov V.I., Sherstyankin P.P. Kuimova L.N. Martynova A.M. Berezhnykh T.V. Danilov V.I. Ivanov V.V. Simonov Ye. A. for the discussion of some sections of the book and their valuable remarks.